Your dermis is your largest and most important organ. It covers and protects the entire body from invasive organisms so that everything tucked away inside remains unharmed. It’s funny to think that most people only think about their skin when they’re feeling concerned about aesthetics. If you want to regain your healthy skin glow quickly, you have to start from the inside out. The human body does all that it can to avoid dehydration. When it is not given sufficient water for all of its functions, it will start extracting this essential substance right from your cells. The skin cells are the first cells targeted; this is why your lips and your face are usually the first parts of the body to show the physical signs of dehydration. Be sure to drink plenty of water throughout the day. Rather than attempting to gulp it all down at once, however, keep a large bottle with you and sip it periodically. Start eating for dermal health. Fruits and vegetables should be abundant in your diet. Foods with antioxidants and phytonutrients support dermal health. Look for options that are rich in Vitamins A, C, and E as well as potassium and magnesium. Workout on a regular basis and engage in activities that build up a good sweat this will help the body route out toxins that might otherwise, negatively impact your complexion. When you are done working out, take some time to exfoliate your face. You can do this in the bath or shower and with a small, abrasive pouf or a facial or body brush. As the toughened outer layers become soft, damaged cells will quickly slough right off. 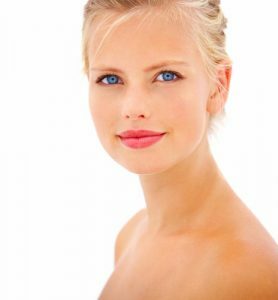 Consider the benefits of receiving regular facials or non-invasive treatments like chemical peels and microdermabrasion. Treatments like these expedite the natural removal of dead, damaged and unhealthy cells. As new cells take their place, your complexion will start looking brighter and much better all-around.